iPad Pro is even better at 9.7 inches. Apple really, really wants you to replace your laptop with an iPad — especially if that laptop is powered by Windows. But before that switch can even be considered, the iPad needs to do everything your laptop can and more. That’s where iPad Pro comes in. 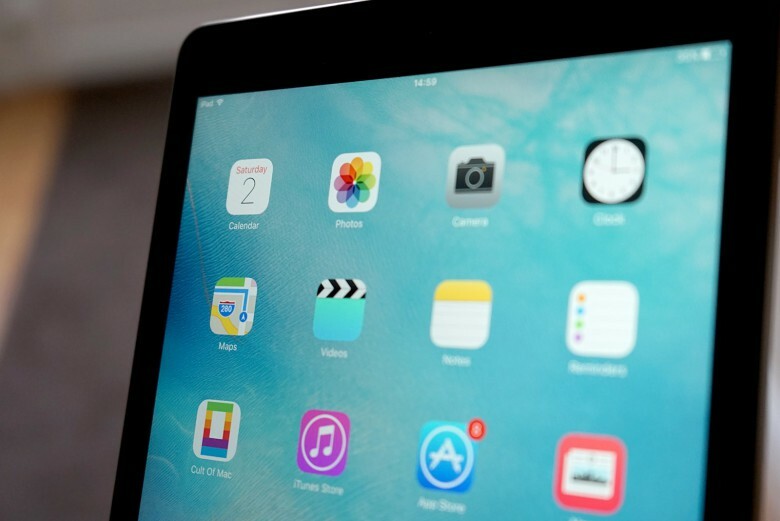 With its new A9X chip, it’s the most powerful iPad to date. It does everything your old iPad did, but it does it better. It’s compatible with the Apple Pencil and Smart Keyboard, and now it’s available in a smaller form factor with a 9.7-inch display. This new model is easier to carry around all day, but it packs almost exactly the same punch as the 12.9-inch iPad Pro — and the same stellar speakers. It has also adopted the incredible 12-megapixel iSight camera from iPhone 6s, with the dual-tone LED flash. It’s everything you want in a tablet — and more. Although it looks identical to the more affordable iPad Air 2 at first glance, the iPad Pro has a significantly better camera that protrudes from its case, and a Smart Connector that makes it compatible with the Smart Keyboard and other accessories that take advantage of it. Like the larger iPad Pro, the new model also has a four-speaker audio system. The top two on each side deliver the mids and highs, and the iPad automatically switches them when you turn it upside down. While the bass isn’t great due to their size, the speakers are still very good — and incredibly loud. They’re great for music, games, and even movies without headphones. It might be smaller, but it packs the same punch. Unlike the larger iPad Pro — and the iPad Air 2 — the 9.7-inch option comes in the same Rose Gold finish as iPhone 6s and iPhone SE. This certainly isn’t worth the extra cash alone no matter how much you like pink, but it’s nice to have if you’re buying the iPad Pro anyway. Despite the many improvements inside and out, the 9.7-inch iPad Pro is exactly the same size as the iPad Air 2. That means it’s incredibly attractive and unbelievably slim. The camera hump means it’s not quite as pretty as its identical twin, but it’s definitely right behind it as the second-prettiest tablet money can buy right now. At just under a pound, the 9.7-inch iPad Pro is also pretty light. You can comfortably kick back on the couch for hours with a movie or a game, or use it to read in bed. That same cannot be said about the 12.9-inch iPad Pro, which is more than 2 inches taller, 2 inches wider, and half a pound heavier. Sadly, the few external changes Apple has made mean it’s not compatible with iPad Air 2 cases, which will block its additional speakers and cover its dual-tone LED flash. 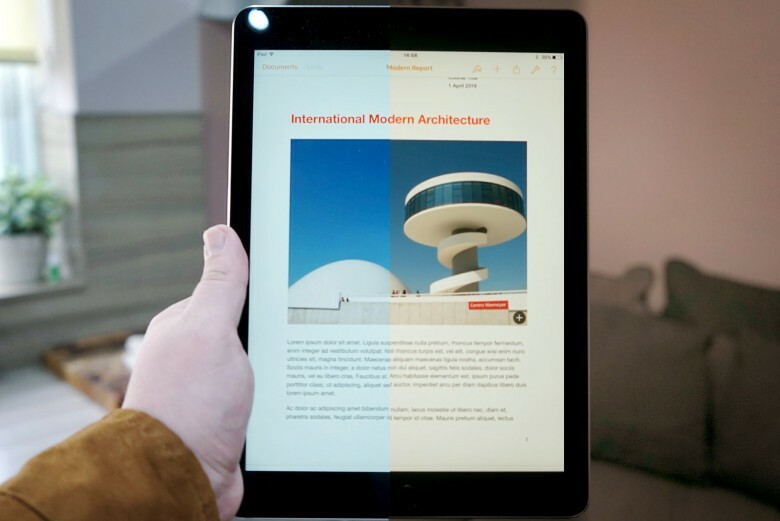 Although Apple has fallen behind with its smartphone displays as rivals like Samsung rollout significantly sharper Quad HD panels with greater color accuracy and other big benefits, its tablet displays remain ahead of the rest. And the new iPad Pro’s is the best yet. This is Apple’s best Retina display yet. In fact, this Retina display is by far my favorite feature of the 9.7-inch iPad Pro. It’s just glorious. It doesn’t matter what you’re doing, its 2048×1536 resolution makes it look amazing. Text is just as sharp as you’d expect from a Retina iPad, and it now uses the same color space as the digital cinema industry, so colors are even more spectacular. Apple says the new iPad Pro has 25 percent greater color saturation than previous iPads, and that’s only half the story here. The company has also increased brightness and reduced reflectivity significantly to make the device even more comfortable to use outdoors and in bright rooms, and it has introduced a new technology called True Tone, which will blow your mind. Using four-channel ambient light sensors, the new iPad Pro can adjust the color and intensity of the Retina display to match the environment you’re using it in. Apple says this makes it more like real paper, which takes on color from the room rather that staying completely white in every environment. At first, it seems slightly strange, like when you used Night Shift mode in iOS 9.3 for the first time. But once you’re used to it, it makes using your iPad so much better — especially if you’re reading or looking at the screen for prolonged periods of time. Turn it off and it suddenly seems too bright and too blue in warmer settings. The downside to True Tone is that it’s not available everywhere yet. Pick up your iPhone or any other gadget after staring at the iPad Pro’s display for a while and they start to look pretty nasty. You will also need to turn it off periodically when you need more accurate colors for things like image and video editing. The other big change to this 9.7-inch Retina display is its Apple Pencil compatibility. Sure, the Pencil is pricey, and it looks ridiculous when it’s sticking out of the bottom of your iPad, but it’s the best stylus for drawing, sketching, and making handwritten notes on iPad Pro. No other stylus gives you the accuracy and functionality the Pencil offers. Just don’t lose it, because at $99 apiece, you don’t want to buy more than one. Thanks to that new A9X processor adopted from the larger iPad Pro, everything you do on the smaller model is delightfully smooth and snappy. It makes light work of switching between multiple apps, using two side-by-side in Split View, and playing the latest games. You can even edit multiple streams of 4K video in iMovie, and the iPad Pro shows no signs of struggle. That’s because the iPad Pro is still ahead of its time in many ways. Few iOS apps and games really push that A9X chip to its limits yet, so almost everything you throw at it right now is a piece of cake. It’s kind of like swapping your little electric lawn mower for a beastly ride-on, then using it to mow the same small patch of grass. Kind of. The 9.7-inch Pro has the same A9X chip as the 12.9-inch model. If you are switching from a cheap Windows laptop, though, or even an aging Mac, the iPad Pro’s performance will blow you away. So will its battery, which provides more than enough juice to get you through a busy work day (or a Netflix binge) after a full charge. 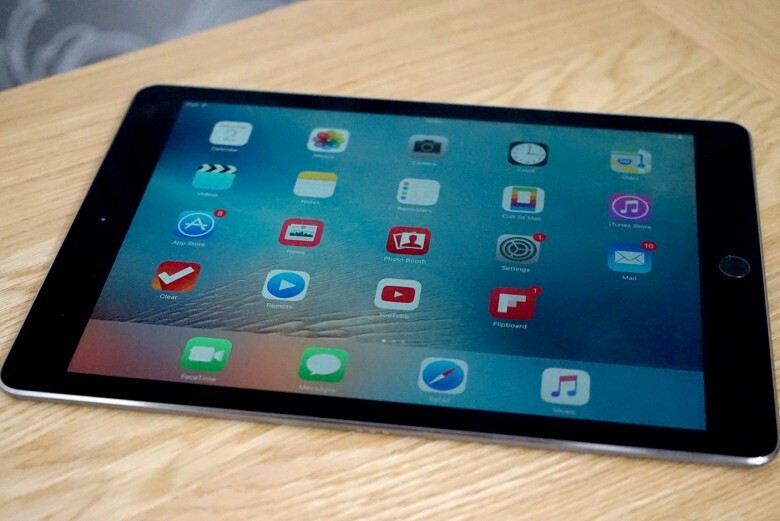 There are some things you should know about the 9.7-inch iPad Pro. Although it does have the A9X chip, Apple has underclocked it, so it’s not quite as fast as the A9X powering the 12.9-inch model. The difference is pretty negligible, though, and I doubt you’ll ever notice it. One thing you may notice is the RAM reduction. 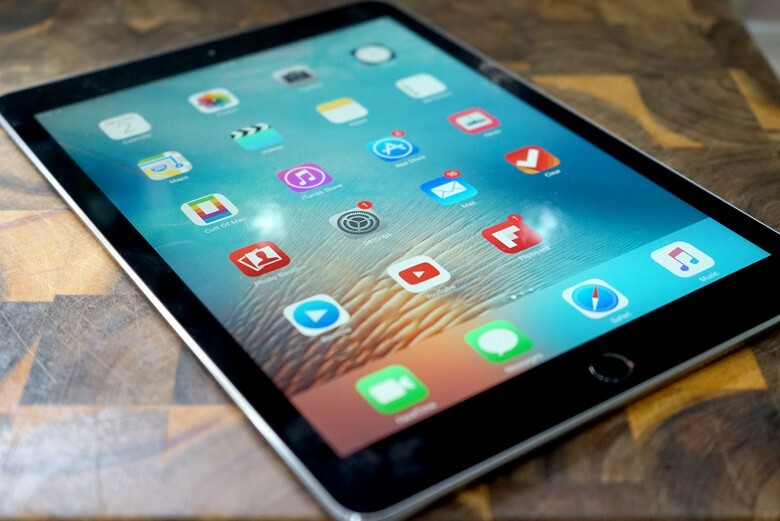 The smaller iPad Pro has just 2GB like the iPad Air 2 and the iPhone 6s lineup. That’s 2GB less than the larger iPad Pro. I don’t know why Apple cut back here, but I’m disappointed it did, because I can feel it. When switching between multiple apps and using lots of Safari tabs, I experience refreshes more than I’d like. It’s not enough to make using this device a pain by any means, but it’s there. Finally, the new iPad Pro has the first-generation Touch ID sensor — not the super-speedy second-generation model found in iPhone 6s. But although it’s slower, it’s still incredibly accurate, and better than any fingerprint scanner you’ll find on a rival tablet. 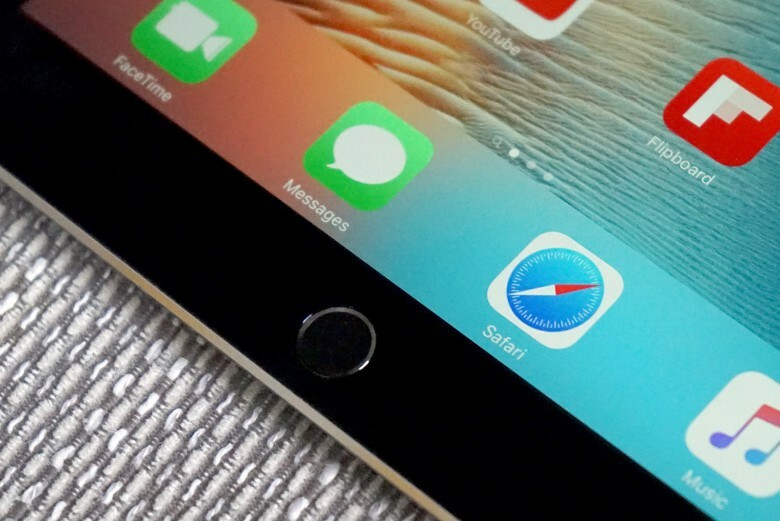 iPad Pro doesn’t have the latest Touch ID, but it doesn’t matter. This is the first iPad to launch with Apple’s latest iSight camera. Every other model has shipped with an older sensor from an older iPhone, but the 9.7-inch iPad Pro has exactly the same shooter found in iPhone 6s. That means it takes beautiful pictures, and crisp 4K video. If you’re one of those people who likes to hold up an iPad at a music concert or football game, then, this is the best one you can get. It’s the greatest camera in a tablet, period. It has Focus Pixels for faster focus, a wider f/2.2 aperture that captures more light, support for Live Photos, and auto HDR. It’s your iPhone’s camera with a much bigger viewfinder. 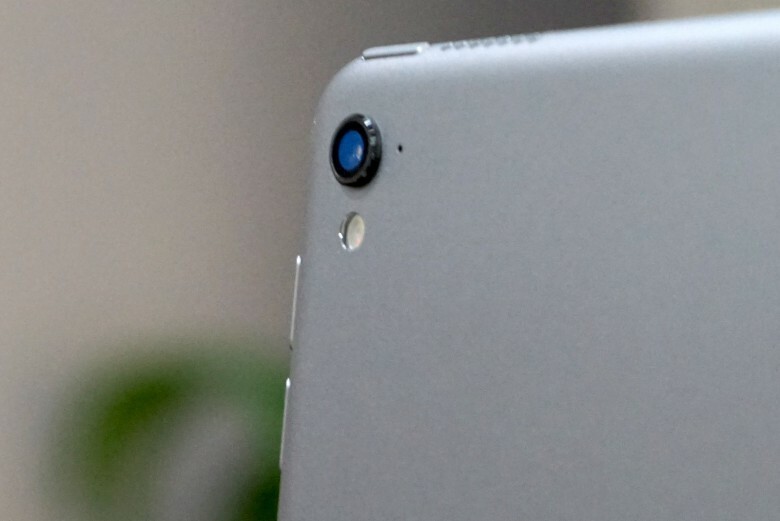 The new iPad Pro is packing the same iSight camera as iPhone 6s. Photos taken on the iPad Pro in good light are sharp, bright, and filled with vibrant colors. It excels outdoors on a sunny day, and performs well indoors in well-lit rooms. It struggles a bit in low light just like the iPhone, but its True Tone LED flash helps when you really need it. Here are some untouched sample photos taken with the iPad Pro. I still prefer to take pictures on my iPhone, since it’s smaller and easier to carrier around. However, it is nice to have the iPad’s larger display when shooting video. And not only can this one handle 4K with cinematic video stabilization, but it can also capture slow-motion video at up to 240 frames-per-second. The new iPad Pro’s front-facing camera is much-improved, too. Again, it’s the same one found in iPhone 6s, boasting a 5-megapixel sensor with f/2.2 aperture, and it now has Retina Flash to brighten up your selfies. FaceTime calls are much clearer with this new sensor, but I don’t really recommend using it for anything else. iPad Pro’s powerful internals are nothing without great software. It has that in iOS 9.3, but I’m not sure it is the best it can be. For many things, iOS is ideal. It’s great for browsing the web, keeping on top of Facebook and Twitter, catching up with your favorite TV shows, and reading. It’s even good for writing reviews like this one without distraction, and drawing with Apple Pencil. iOS 9.3 is great on iPad Pro. But it could be better. iOS 9’s new multitasking features, like Split View and Slide Over, are a blessing, too. They make getting things done on the iPad so much easier, and in a pinch, I could use the iPad Pro to write up and publish posts for Cult of Android. I could even edit all of my images on it just fine, thanks to excellent apps like Pixelmator. But there are so many things I do on my desktop and laptop that I still can’t do on an iPad — at least not easily. There’s no file system because Apple won’t allow it. Transferring content to and from an Android device is a giant headache. I can’t download torrents or even large files from the Internet easily. The list goes on and on. I’ve mentioned before that I think Apple needs to make iOS more flexible if it really wants the iPad to be our go-to computer. Microsoft has the right idea with the Surface; it’s a terrific tablet when you need one, but it does desktop tasks just as well as a laptop. You can play multitouch games and sit back with a movie, then plug it into a monitor and keyboard and get real work done. It’s the best of both worlds. 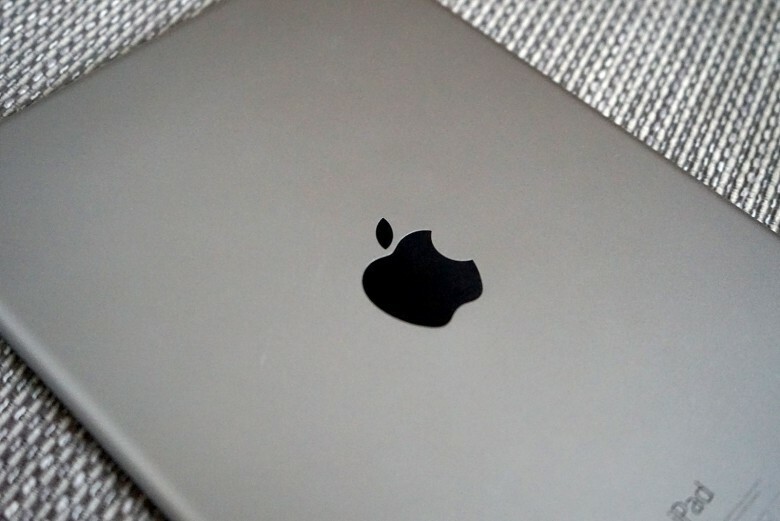 Sadly, Tim Cook has said Apple will never make a Surface-like device. The iPad Pro still isn’t a laptop replacement for me, then, and although it is a great substitute for simpler tasks, I don’t think you should believe Apple when it tells you iPad Pro is a suitable PC replacement. That’s just not true yet for the vast majority of people. But that doesn’t mean this isn’t a terrific tablet. I love its excellent True Tone display and the fact that it gives you everything you get with the 12.9-inch model in a more portable form factor — and I can’t get enough of Apple Pencil. I know I’m going to use this iPad more than I’ve used any other. 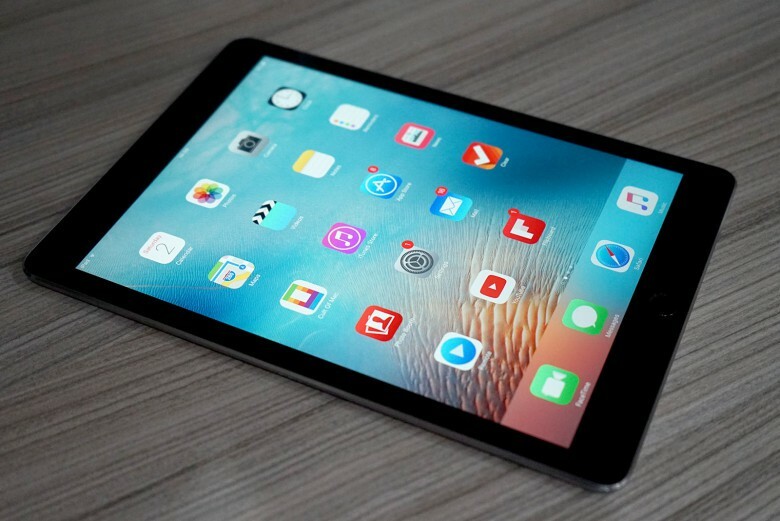 It’s the best model in Apple’s lineup, and if all you need is a tablet, the 9.7-inch iPad Pro is the best available. The 9.7-inch iPad Pro is available at Apple starting at $599. Apple provided Cult of Mac with a review unit for this article. Previous articleCould this make building quantum computers much easier?